A new documentary by William Paterson University professor Vince Parrillo that’s scheduled to air on NJTV next week showcases Paterson’s thriving art community. Artists and musicians discuss the influence the Silk City has had on their work. The documentary also takes viewers into the Essex and Phoenix mills and the Art Factory, the well-known havens for Paterson artists. 70-percenrt of space in the two mills are designated for artists and musicians. The Art Factory serves as their creative center. The two mayors — Lawrence “Pat” Kramer and Congressman William Pascrell, Jr. – responsible for securing the arts facilities are featured in the documentary discussing the role art and artists have to play in the revitalization of the once mighty industrial city. Parrillo’s new documentary will air on Wednesday, November 22, 2017 at 8 p.m. on NJTV. He worked with Jarek Ziaja, a film editor, and Rhoderick Holliday, a video production coordinator at William Paterson University, to produce the latest work. Ziaja worked with Parrillo in two previous documentaries about Paterson. 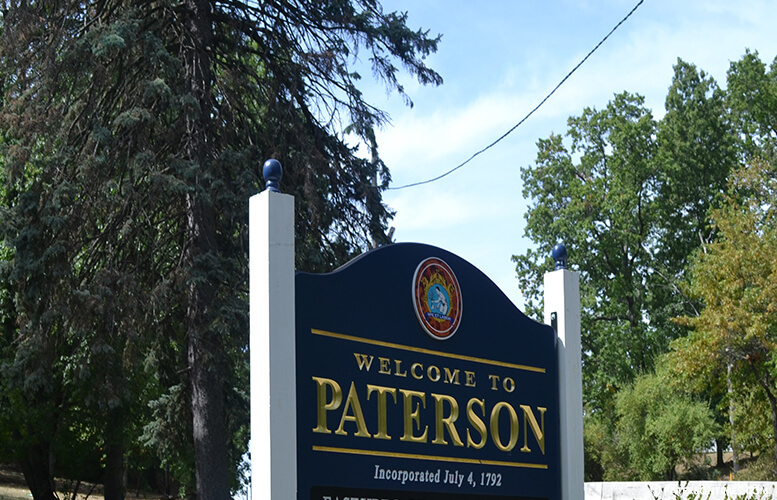 This is the fourth documentary on Paterson from Parrillo, a sociology professor. His previous works are award-winning Smokestacks and Steeples: A Portrait of Paterson; Gaetano Federici: The Sculptor Laureate of Paterson; and Paterson and It People. Parrillo’s works have become must watch films for anyone interested in the history of Paterson, the cradle of American Industrial Revolution. DVDs of his previous work are available at the Lambert Castle and the Great Falls National Historical Park. Update: The airing date has been changed by NJTV from Nov. 15 to Wednesday, Nov. 22 at 8 p.m.